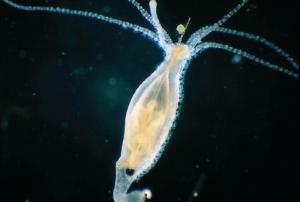 Maintain Culture to Observe Hydra Life Cycle. Everything you need is included to keep brown Hydra alive over an extended period of time, giving students the opportunity to observe their full life cycle. The set includes Hydra littoralis culture, culture solution to make 35 L, one vial of brine shrimp eggs (food), and culture instructions. Ordering information: This item contains live or perishable materials.